If you are planning on viewing Tampa condos for sale you should understand there are a lot lender restrictions on condos then single family homes. You and your Realtor need to understand these restrictions before you write a purchase offer. I am a condominium expert that can answer all your questions and give you time and money saving advice. Plus – my services are FREE to you as a home buyer. View the video below to know what questions you need to know in order to save time, money and frustration when buying a condominium. Must Watch! There's nothing I like doing more than saving my clients time, money and frustration — and I get a lot of opportunities to do it. Today I'd like to share a checklist of sorts I put together for anyone looking at Tampa condos for sale in today's market (although it could be applied in almost any market where condos are for sale, Tampa is my specialty and home base). 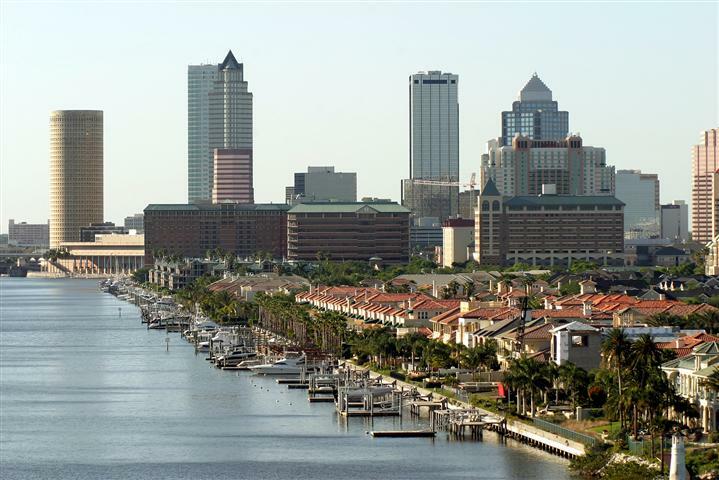 Before you pull the trigger on a Tampa condo, make sure you go down the list; if nothing else, it'll help you get thinking about a few potential pitfalls before you have a chance to step into them. • Know Your Neighbors. Specifically, the number of owners vs. renters. There's certainly a different feel in a condominium complex that's 90% year-round owner-occupied than one that's mostly a parade of different vacationers. That isn't to say one is better than the other, but if you're planning to live there yourself, you should know who your neighbors are going to be. • Know Your Association. Read up on your condo association. Read the rules (CC&Rs) carefully, read minutes of meetings, read any documents they have available. And ask questions: how often do they meet? What regular maintenance (and emergency repairs) do the fees cover? And what isn't covered? • Know Your Amenities. There's a wide price range among otherwise similar Tampa condos for sale, and it's not always about square footage or views. Resort-style amenities like fitness centers, olympic-size pools and lavish clubhouses are obviously going to tip the scales in favor of some Tampa condo complexes, but there are others factors to consider, too. Do the condos for sale come with covered or underground parking? How about storage or locker space? And how close is the condo that's for sale to Tampa's shopping, dining, playgrounds, etc.? • Know Your Neighborhood. Maps and statistics are great, but there's just no substitute for getting on the ground and walking around the neighborhood; if you're the outgoing sort, strike up a conversation with people in and around the complex. Find out what they like most about living there, and ask about the challenges they might have had — and if they have any advice for avoiding them. • Know Your Market. Understanding the Tampa condo market means more than knowing what areas are “hot” right now; it's important to have some historical perspective, to know whether prices in a particular area are rising or falling as part of a cyclical trend — or as part of a bubble getting ready to burst. Here's where it's so important to have a real estate professional on your side who's got the experience and time in the market to really help you sort it all out and find the gems out there. I'm more than ready to help you find the Tampa condo that's perfect for your needs and budget; please feel free to call me at 813-317-4009, or send me an email any time. Here's a good article on condo vs house.